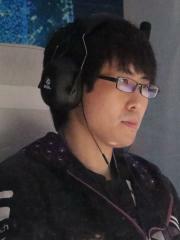 Park "fOrGG" Ji Soo is a Korean StarCraft II player, formerly a StarCraft: Brood War player. Currently, fOrGG is ranked #416 in highest overall earnings, and #79 in highest earnings for players from Korea, Republic of. Before his 18th birthday, fOrGG was awarded $11,868.88 in cash prizes from 3 tournaments. 5.08% of his total prize money was earned before February 13, 2008. Out of the 74 tournaments where fOrGG received a cash prize, the largest was $49,620.39 from Arena MSL 2008 on July 26, 2008. His 1st place finish makes up 21.24% of his total prize money won. On September 23, 2012, fOrGG reached $100,000 in total prize money won with a $6,099.23 cash prize from his 2nd place finish at DreamHack Valencia 2012 (StarCraft II). Prize money from 35 tournaments got him to that point.